Lost Led Zeppelin Song from 1969 just found! Listen to ‘Sunshine Woman’ right here. Led Zeppelin’s ‘lost’ song “‘Sunshine Woman‘ was recorded on March 16, 1969, in London and aired April 14 on the BBC World Service,” Mike Ayers wrote for The Wall Street Journal’s Speakeasy blog “According to the label, Atlantic, the original BBC tapes were lost, but a private recording surfaced in the late 1990s. Fans have known about the song and heard it in varying qualities over the years, but until now, it’s never been properly released.”. In the past, fans had to listen to horrible sounding bootlegs to hear the song, but here it is (below) in all it’s glory from that faithful day in March of 1969. 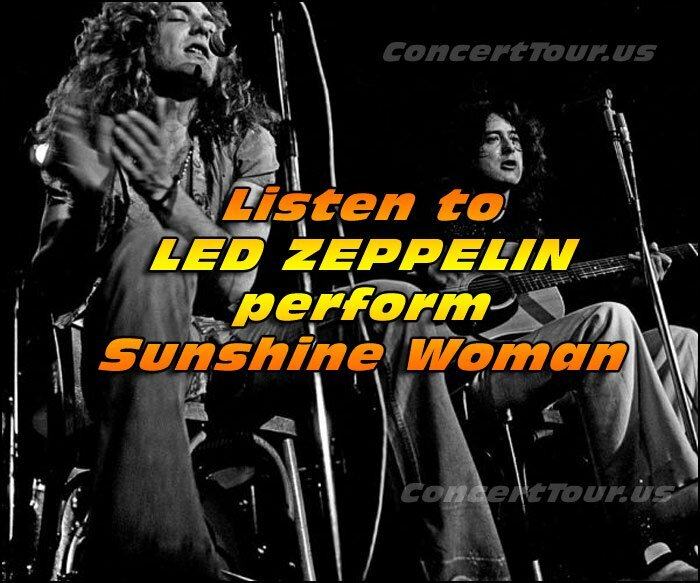 The recorded track, Sunshine Woman, times in at only three minutes long but shows a part of Led Zeppelin’s songwriting process through an in-progress track. The song has been available from prior bootlegs, with the original tapes lost to time, but will now see an official release via The Complete BBC Sessions. Guitarist Jimmy Page does offer a word of caution though, that the track was clearly recorded from the radio and thus isn’t exactly the highest fidelity recording imaginable. You can hear some ideas which would go on to become part of later Led Zeppelin songs, making this an interesting part of rock history, albeit not the most memorable song from their huge catalog. Bet you’d never think that you’d be listening to ‘new’ Led Zeppelin songs almost 50 years later. Fan of FLUME? Here’s a list of his 5 best Remixes of all time. Take a Listen here.